Lunchbox Dad: Review: Yummy Dough, Food You Can Play With and Eat! 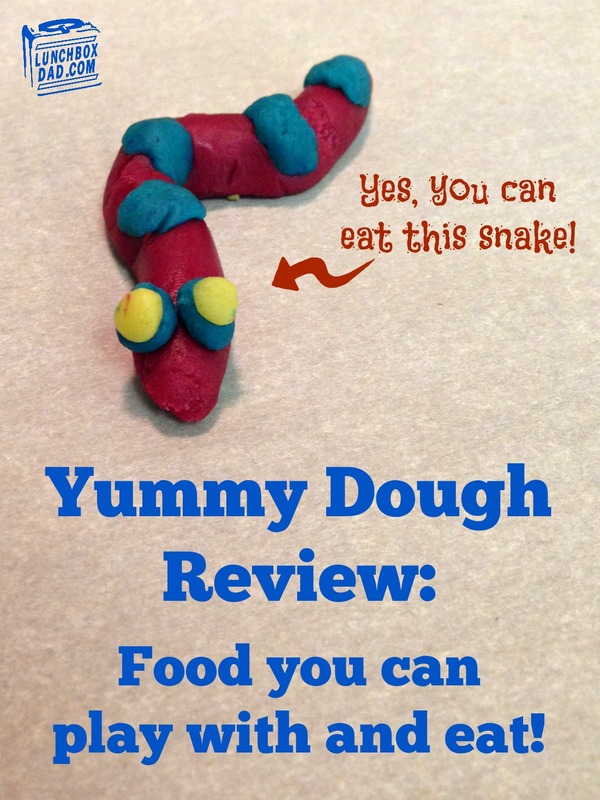 Review: Yummy Dough, Food You Can Play With and Eat! Admit it. 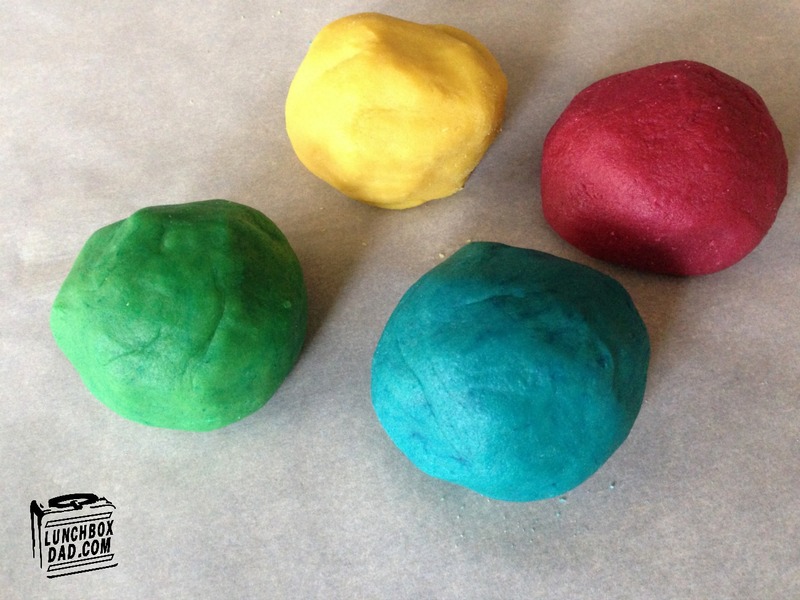 When you were a kid playing with Play-Dough you always wanted to taste it. Some of you might have even taken the plunge and eaten a little. However, it only took once not to do it again. Every generation of kids faces that same temptation. The makers of Yummy Dough want to make your childhood dreams a reality. They have created a dough with which you can make fun creations...and then eat them! But is it tasty and does it actually work? The dough comes in a tub in powder form. You are given everything you need to make it except water. It comes with four colors. The instructions even show you how to mix the colors to make other colors. To make the dough, mix the powder with water. The process is easy, but can take some time. Preparing it by myself, it took me 7-8 minutes of stirring to get each color to be the desired consistency. In order to use this product, you must plan for appropriate prep time. Unlike Play-Dough, this won't last for long periods of time. The container says it should be used within a day while the website states the dough should be used within 2-3 days. Once I prepared the dough, my kids washed their hands, and took over. They had a ton of fun making different sculptures. The colors were bright and could easily be manipulated to make whatever shape they wanted. Yummy Dough can be eaten raw or cooked. When raw, it tasted similar to sugar cookie dough. It can also be heated up and cooked in the microwave or oven. My children and I did not like the microwave cooking method. It just didn't taste right. Cooking it in the oven for 12-14 minutes worked great, however. The dough kept its shape and didn't expand much after cooking like normal cookies do. It tasted a bit like sweet biscuits or animal crackers. Yummy Dough is made with no preservatives but does contain food allergy warnings. Please check their website with any concerns. Their website also contains some great ideas, tips, and instructions. 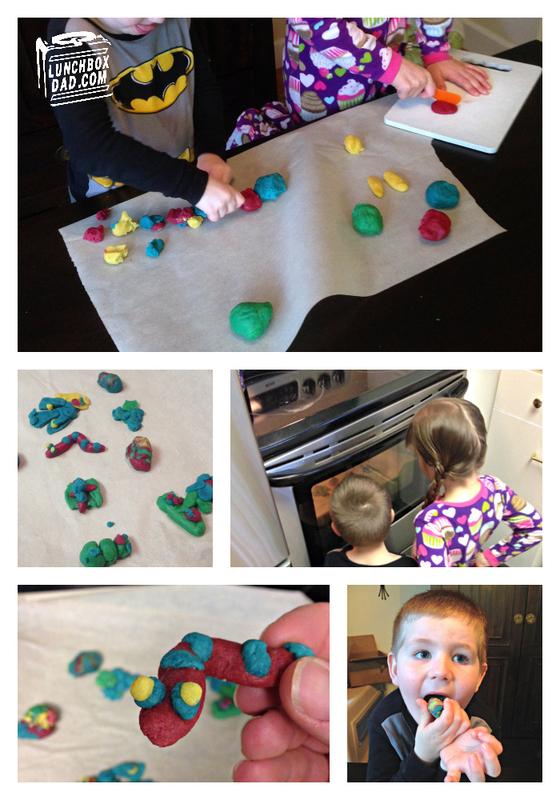 Yummy Dough is a unique product that helped me to have a tremendous amount of fun with my kids. It would be a unique addition to a kid's birthday party or for a special dessert. I wish it didn't take so long to mix, and it would be great if the dough lasted more than a day or two. However, besides those things, it is a great idea. To buy Yummy Dough, or to find out more, you can go to www.yummydough.com. Disclosure: Yummy Dough sent me their product to review. I have received no other compensation for this post and the opinions I’m expressing here are solely my own.